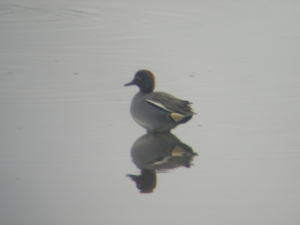 Observation - Teal at Kinneil - UK and Ireland. Description: Seen at Kinneil Lagoons, an SSSI on the South side of the Firth of Forth. Seen at Kinneil Lagoons, an SSSI on the South side of the Firth of Forth.